Lying on the runner, as I walked past, taking care not to disturb her, she’d reach out and clip me about the ankle – as if I’d somehow neglected to pay her the homage which was her due. And even though she had wonky legs – just like His Holiness’s Cat – she wouldn’t hesitate to walk into a courtyard full of people with the confident expectation that guests would make way for her, and someone would obligingly pick her up to offer a morsel of whatever food was on offer. I made it my business to ensure that our Princess’s expectations were fully satisfied. Little Wussik was equally capable of the utmost cuteness. There were many moments when I had no doubt at all we had a very special bond. It’s the kind of bond which most people with pets sense in an innate and heartfelt way. The kind of bond which makes us wonder how on earth this little creature came into our life. Was it just a chance event that saw us bring this particular cat, dog, parrot or other being home? Or was there some other reason? There are three models to describe reality. One is that your subjective experience of reality is essentially random. The second is that you experience things because a divine power makes or allows you to experience them. The third is that your experience of reality is determined by cause and effect. This third model accords with the Buddhist view of karma. The implications, when it comes to the pets in your life, is that you do not share your life with theirs by chance. From a Buddhist perspective, we all possess subtle consciousness, and this consciousness has been with us since the beginning of time. (You’ll find blogs describing how subtle consciousness survives death at http://davidmichie.com/life-after-death-the-tibetan-buddhist-view/). 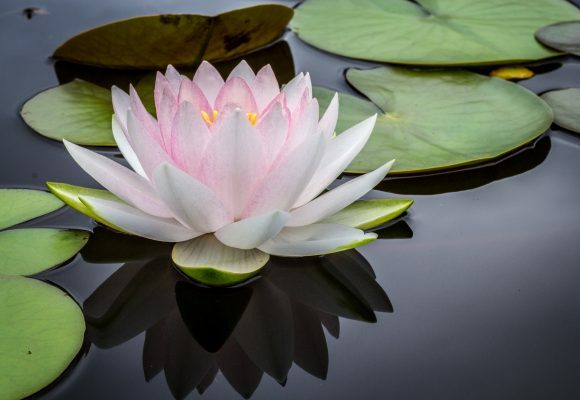 To quote the Dalai Lama: ‘Over the billions of lifetimes that we have experienced since beginningless time, we have known all the living beings again and again. Sometimes they have been parents to us, sometimes friends or mates, sometimes enemies. Without exception, each of them has been even a mother to us again and again, performing the kindnesses of a mother. How can we be indifferent to them?’ (The Dalai Lama, Path to Enlightenment, Snow Lion, page137). This perspective challenges the usual way we view other beings – human and animal – as mostly strangers, with much smaller circles we regards as friends, acquaintances, and those we find difficult or dislike. Seeing all beings as our mother from a previous lifetime provides the basis of a more compassionate, open-hearted attitude. Why are some beings closer to us than others? Because our karmic link with them is stronger. Perhaps they were our mother, brother or daughter in our very last lifetime. Or even this lifetime. 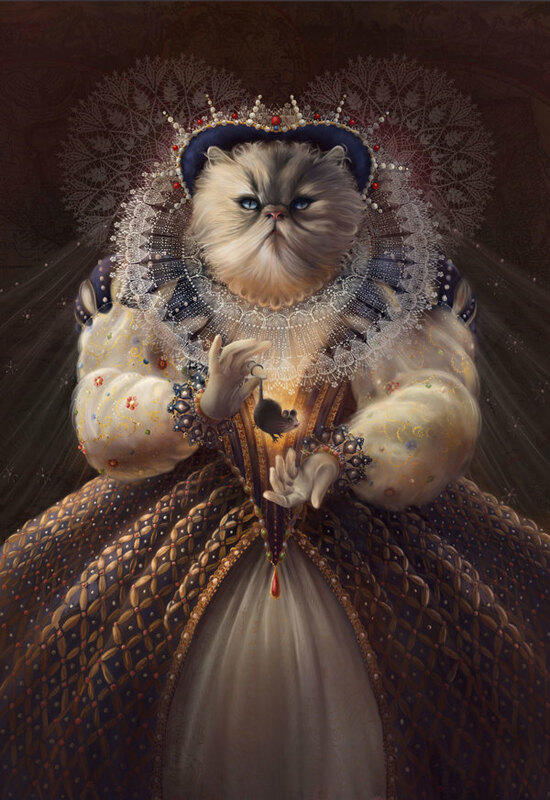 Far more interesting than the amusing possibility that your cat may have been Marie Antoinette or Queen Elizabeth I, what if she was your partner, husband or best friend? If you accept the notion of karma, one thing is for sure: the fact that a particular pet is in your life is not by chance. And now that you’re in a position of power, the way you handle it will determine the future nature of your relationships. With compassion and wisdom, you can use this power to the very best effect, benefiting not only the well-being of your animal companions but, in so doing, determining the quality of your own close relationships in the future. Sign up for my newsletter. You’ll hear from me once or twice a month with blogs and other news designed to be stimulating and useful. Check out my books which explore the themes of my blogs in more detail. You can read the first chapters of all my books and find links where to buy them here. Have a look at the Free Stuff section of my website. Here you will find lots of downloads including guided meditations, plus audio files of yours truly reading the first chapter of several books. Join us on Mindful Safari in Zimbabwe, where I was born and grew up. On Mindful Safari we combine game drives and magical encounters with lion, elephant, giraffe, and other iconic wildlife, with inner journeys exploring the nature of our own mind. Find out more by clicking here. New book! Buddhism for Pet Lovers. Read the introduction here! Can a human come back as a cat – and vice versa? The Buddhist view. 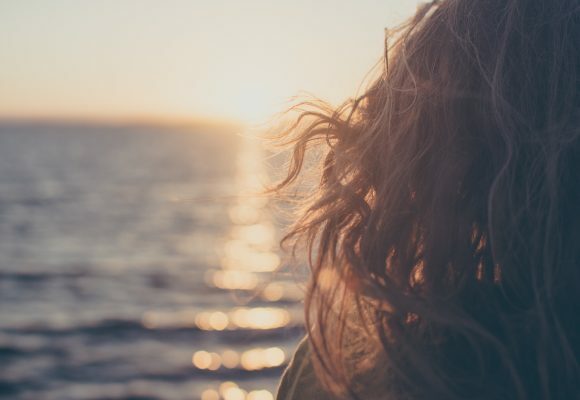 Cutting off thoughts versus suppressing them: what’s the difference? I read this with great interest! I loved your book, too: The Dalai Lama’s Cat. Besides wondering about “other/past lives of cats”—-I wonder where our kitties come from—- in the spiritual realms? I have had 2 cats that have since passed away: Velvet and June. I totally agree it is no accident which particular cats come to us. My black cat Velvet was pretty mysterious….and quite the character. Very much the boss and “entitled”-like!!! Very chatty, too. I would ask him regularly: “Velvet, where are you from!!!?? ?” (…..??? from a far-away star system or special dimension). Thanks for your BLOG and sharings on cats! I love this message, “….now that you’re in a position of power, the way you handle it will determine the future nature of your relationships.” It makes me feel really good about everything I do for my kitty, Indy. I work hard to pay attention to her needs, actions and words, which is one of the ways I show her my love. David, your comments bring up thoughts of my soul dog, a basenji named Kipawa, who came into my life four years ago. Kipawa’s mother’s name is Karma, a lovely dog from championship bloodlines, that came into heat at an unexpected time in the year. In fact, her owners/breeders had not chosen her to have a litter that year. But there certainly are much bigger plans than those humans make. When Kipawa was 10 weeks old, I went to meet the litter Karma had. I had barely taken off my coat and sat down, when Kipawa jumped up on the couch, onto my lap, stuck his head under my hair and let out a deep, deep sigh. The room fell silent. After a short while, the breeder said, “we have been breeding basenjis for 17 years, and we have never seen anything like that. There’s your dog”. And yes, he is my dog and I am his human. We truly are locked in bond that is not explained by anything else other than ‘karma’. I especially love this message today because I have been thinking about this a bit lately. I have shared my home with cats for well over three decades, but the two who are my family now are both just incredibly special, and each came to me in unusual ways. They delight me all throughout the day and my main purpose has been for them to feel especially loved because they are both rescues, and they due justice to the magnet on my car that says, “Who Rescued Who?”. Thank you so much for sharing this. Whether consciousness survives death or not, I love the notion that our cats are bonded to us through karma. I’m sure that’s true! Love your posts! I LOVED “The Dalai Lama’s Cat” and “The Art of Purring” so very much. Do you have any plans to write any more sequels? Dear Heart: I have 2 cats and I swear they found me. The male is named Bodhi (he chose the name…) and he chose me the day after another beloved cat, Nomi, shed her body. It took him a week to wear me down and I adopted him. There is something about him that I can’t rationally explain – but we are very closely bonded. He disappeared for 11 weeks last year and I had been told by an animal communicator that he had been hit by a car. Then, last June, my neighbor told me that a lady further down the street had been feeding him….and that night he was home. I don’t know how he survived and I don’t know where he’d been (except he smelled of horses and there is a horse farm close by…if he was there, I am thankful he had the shelter). Since his return, he has become closer to me. I know we were together in past times. The Dalai Lama’s cat and its sequel-the art of purring are both my top favourite books of all time. I love this wonderful blog. As a veterinarian and a pet guardian, I have no doubt that our pets come into our lives for a reason. The majority of pet owners who have brought pets to me also believe the same. Thank you David for this timely post. for some reason I thought according to Buddhist teachings u can only step into a higher form of living as your consciousness develops – so our beloved pets can reborn as humans when they’ve learnt enough but not the other way round. so there’s no “punishment” as such but we(they) may have to repeat the lesson again. Hi Gertrude, I have come across this concept in Theosophical philosophy, but it is not the Buddhist view. 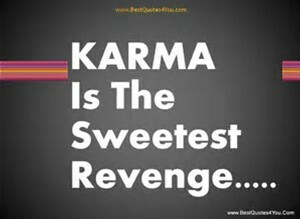 In terms of karma, as humans we have the capacity to create enormously powerful positive or negative causes for future effects. Whether we find ourselves in such a privileged position again (i.e. as humans) depends on what causes we create. I loved both “Dalai Lama’s Cat” books and hope you write more. 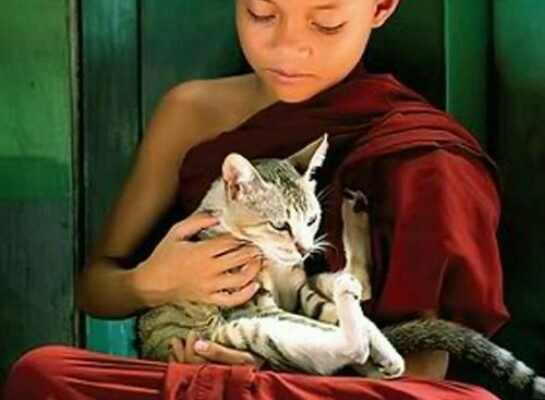 You clearly know both cats and Buddhism intimately, and what better teacher could one have than a cat?! As the guardian and companion of four cats (2 formerly feral, now complete lovers), a dog and a goat – all rescued – I know no greater privilege or honour than earning the trust of an animal who has never known human kindness before. In fact, while visiting a wonderful animal rescue/permaculture farm/education centre called Sanctuary One, near Medford Oregon, I realised that the greatest happiness I could imagine lay in creating a similar facility in my own community. So, in my mid 60s, I’m excitedly laying the foundation for THE PEACEABLE KINDOM (yes, that’s spelled right), where neglected and abused farm and domestic animals can learn to trust humans, and humans can learn to nurture our interconnection with all other beings and the Earth and its elements that sustain all life. THE DALAI LAMA’S CAT and TDLC+THE ART OF PURRING will be prominently featured in our eventual bookstore. Thank you for these wonderfully-offered teachings and inspirations. I loved The D.L.’s Cat, and I love this post. I’m quite sure that my male cat, BeeGee, is the mother I never had, loving me unconditionally, as well as my true soulmate, the partner I was never fortunate enough to have in a human. I adore BeeGee, I honor him, I treat him with great kindness and care, he’s my best friend in the world. My love for BeeGee prompted me to start a senior-to-senior cat adoption program at my local animal rescue/sanctuary. Nine older kitties have been adopted by senior humans since we began, middle of last year. I’ve been following you on Facebook for a while now, since I read TDLC last year. But I just started following your blog. Cats and Buddhism = purrfect combination. I have had many animals in my long life…but two of my cats I know were given to me by the universe. They needed special care and I always felt that I was chosen to care for them and I did my best to fulfill that honor. The one cat and I had a bond that was so strong…even after he passed on his spirit lingered with me. And then a year later, by a long journey, a kitten came into my life…and the moment he entered the house he bonded with me; I often think it was my Pumpkin returning to me. I have been honored to have lived with all the pets I have ever had.